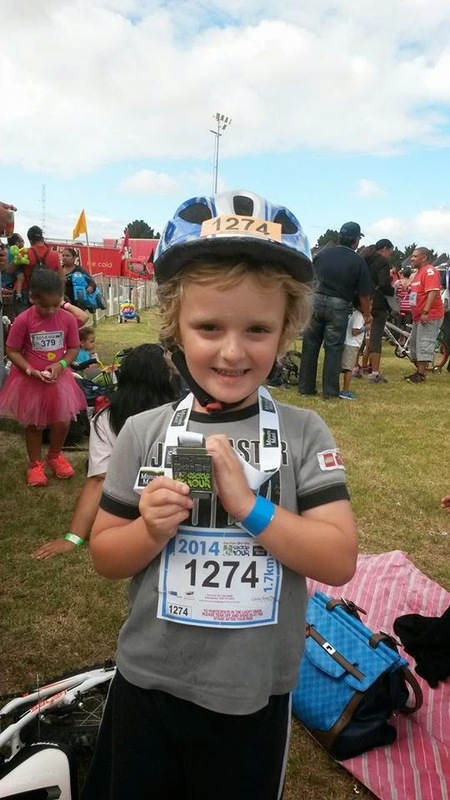 Those were the few words Yolandi could manage to gasp at the end of Ben’s junior Argus ride on Saturday. We needn’t have worried about him being nervous to ride with 700 young kids in the 4 to 5yr old group. Our little practice session the day before had paid off and once he got going, he rode strongly, refusing every water stop and pedaling with determination to the finish. Hard to imagine where he might get that from. Yolandi, being the runner in the family, got the duty of running alongside him – which turned out rather a tough challenge in itself. Ben exited the finish chutes proudly wearing his medal and clutching a big goodie bag to his chest. It was a perfect first junior Argus for him, and a special moment for both Yoli and I as parents. Although I was still looking forward to my own ride, it was hard to imagine how much more fun it could be than the morning we’d had helping Ben take part in his. 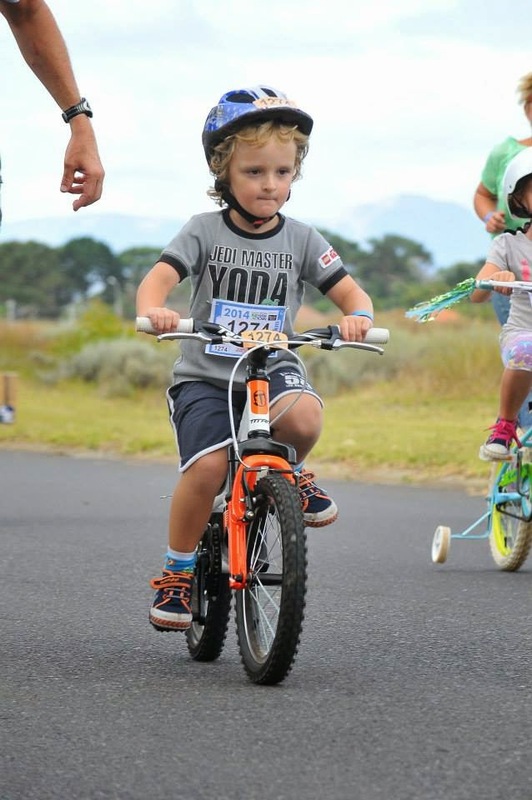 As we drove out of the military base I was already looking forward to next year, when he steps up to the 2.5km circuit and parents get to ride along with. The next morning started with two familiar ingredients: the cold dark wait in the start chutes thanks to my improved seeding; and the blasting gusts of wind ripping around the city center. Neither were welcome. The cold was at least kept at bay by the gilet I’d grabbed whilst leaving the house – a piece of last minute decision making I was extremely glad of watching Jack and Danie shivering alongside me. By the time we shuffled to the start area we were joined by John, Peter and Sue also. There were also other club riders in the parallel start group across the road divider. It felt good to be in my Wannabee jersey and part of this large extended family of riders. Whilst chatting earlier, Jack had commented that a sub-4 would be a good time in this wind. Even before the wind I hadn’t been expecting or aiming at a sub-4, and it certainly wasn’t in my mind as we got underway. My legs felt pretty good though, and somehow I stayed in contact with Jack, Danie and John. Up Mandela Boulevard, over Edinburgh Drive, even racing down the blue route – somehow I was managing to hold my place in the bunch at the head of our start group. Holding my nerve was also required as our speeds topped 60km/h in the blustery conditions. Part way down this scarily fast section we passed the wreckage of an L group crash lay – 20 riders or more, broken bikes and bloodied bodies strewn on both sides of the road with medics in attendance. It was a stark reminder of the dangers of speed, proximity and inexperienced riders in such large bunches. Worrying wouldn’t help though – doubt is an unwanted distraction from the need to hold a steady and strong line and intense focus on what is going on around and in front. I was pretty sure I’d get dropped somewhere from our bunch – the pace was significantly higher than my recent training. What surprised me was that I hung in there so long – past Muizenberg, and on through Kalk Bay and Fishoek. In the end it was a lack of concentration that saw me 10m off the back. Dropping down to beach level where the road dips in to Black River before Simonstown I’d sat up and relaxed to stretch. At that instant a blast of wind cut through the bunch, severing me from it’s tail. The gap was no more than 5m, but I was slow to respond. By the time I’d got myself out of the saddle and pumping, it had grown a couple of meters more. I held it at around 10m for a long way, but I just didn’t have the firepower to close it with such a strong headwind. At some stage I realised that I wasn’t actually alone – I was actually pulling a small chase group with me. I slipped to the side to let reinforcements through. A tandem and a solo rider came through and I tucked behind them. Even working together, the group ahead slipped slowly further and further out of reach. Accepting my bunch was gone, I sat up and enjoyed the lead in to Jubilee Square – always a bustling and fun part of the ride. It was still fairly quiet though – the larger fun ride groups were still behind us, and at only 35km into the ride, anyone aiming for a time would not be making a planned stop this early. Somewhere along the road to Smitswinkel, the head of the next start group came through and I tucked in and rode with them over the climb. I needed a quick shot though, and pulled in for a rapid coke before the descent to Misty Cliffs. My garmin had been hovering around the 28km/h average speed mark, significant because it is the essential number for a sub 4. I wasn’t really thinking much about it though – it still seemed highly unlikely, even with the strong wind now pushing us nicely from behind as we swung across and back up the other side of the peninsula. It didn’t matter, I was going well and enjoying the ride immensely. 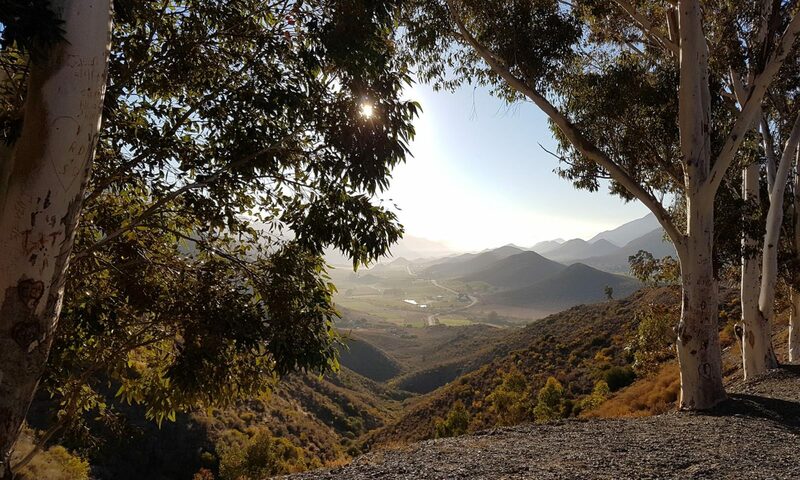 With several windy Arguses under my belt , I knew the Sun Valley stretch towards Noordhoek was deathly when the South Eastern blows. Immediately we turned the sharp right after the run down from Slangkop I started looking for a group to tuck into. A likely bunch of 5 or 6 riders was just ahead. With a short standing burst I managed to latch onto the back of them. It was worth the effort – our speeds held well about 25km/h despite the wind. I can’t honestly remember a previous Argus where this stretch as seemed so pleasant – by the time we turned out of the wind, our group had grown to 20 or more like minded riders, battling the wind as a cohesive bunch. Chappies and Suikerbossie were a delight as always – a sweaty straining one, but no less glorious for the effort required to crest them. The only thing missing was cramps. Over the top of Chappies, my average was down to just over 27, and back up above 28 again at Hout Bay. It still didn’t occur to me that the sub 4 could be possible until I started the fast run down to Camps Bay. My average speed was well off the 28km/h, but I had more than half an hour in hand. I knew from split times, that 30 minutes is the vital number at the top of Suikerbossie for a sub 4. It suddenly dawned on me that it might be on, and with this in mind I threw caution to the wind and charged down the hill. I left nothing in the tank over those last few kilometers, and by the time the line came into sight I was minutes under the magic target. In fact so many minutes, a PB also looked possible too. I nearly threw that away though with a rookie mistake – mistaking the foot bridge for the line, I sat up and immediately cramped. There was 500m to go still, and it was a battle with the tight muscles to get pedaling again when I realised this. Crossing the line, the clock stopped at 3:50:33 – a whole 4 seconds faster than last year. A PB is a PB though, and in the wind too. A huge smile spread across my face. But even with the unexpected success, my smile wasn’t nearly as big as Ben’s had been wearing his first ever cycling medal the day before. The only remaining thing needed was a beer with my fellow Wannabees to swap stories how we’d all got on. A perfect end to a perfect Argus weekend.